$789,000 | 1,369 Sq. Ft.
You seek a change of pace. A life outside the ordinary. A haven from which to disconnect from the everyday and reconnect with that special someone. You seek the Spruce Cottage. This intimate and serene one-bedroom sanctuary at the heart of Western Idaho’s stunning natural landscape allows you to find both, adventure and luxury at once. 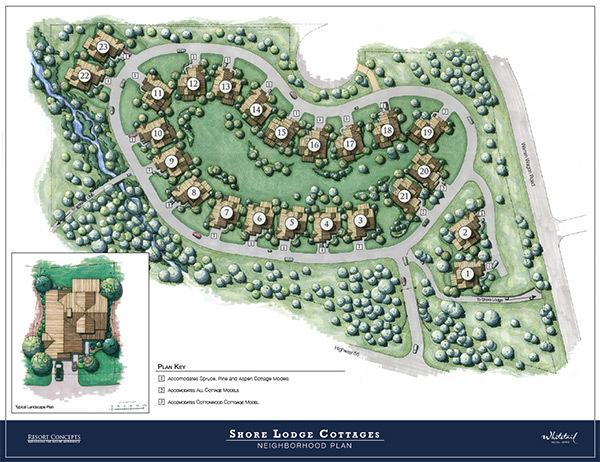 The cottages neighborhood is positioned near the clubhouse and our famed hotel, Shore Lodge. The Fish & Swim Club, Indoor Tennis and Fitness Center, Whitetail Club Park, championship golf course, single-track mountain bike trail system and Nordic ski trails, are all within walking distance.